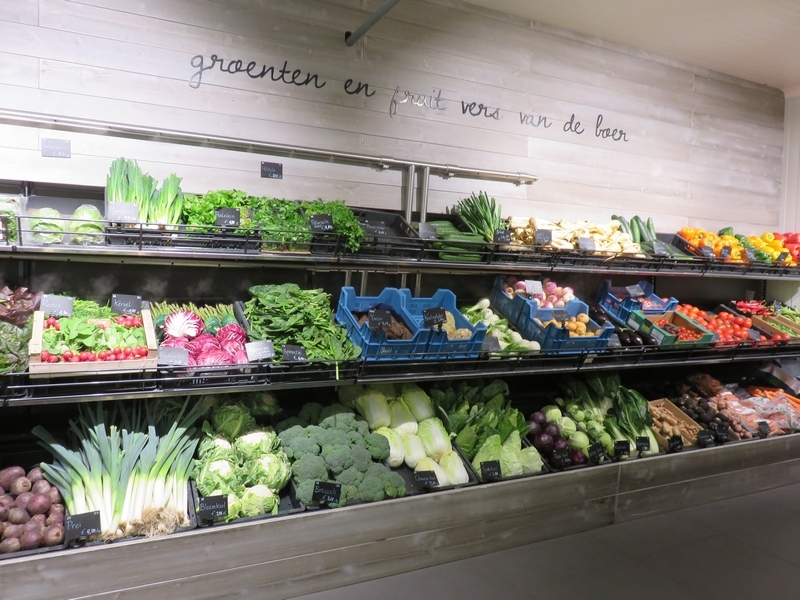 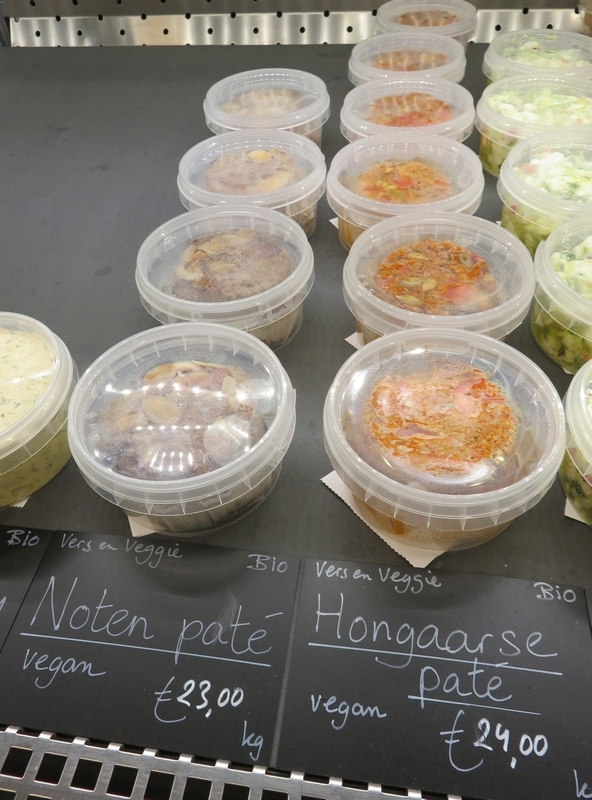 Shop review #34 – Origin’O is a chain of organic stores in Flanders, with nearly 20 shops spreaded throughout the region. 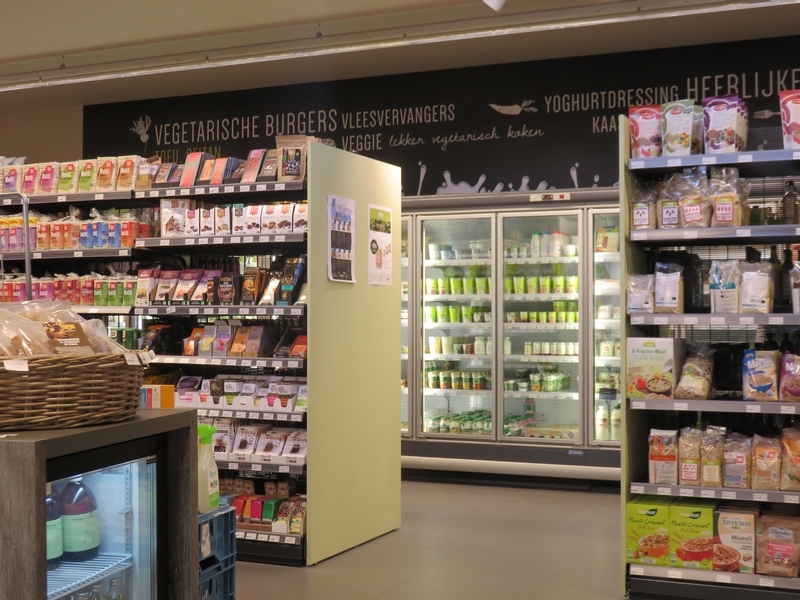 They are not supermarkets, but reasonable sized stores, with most often a good offer of vegan products. 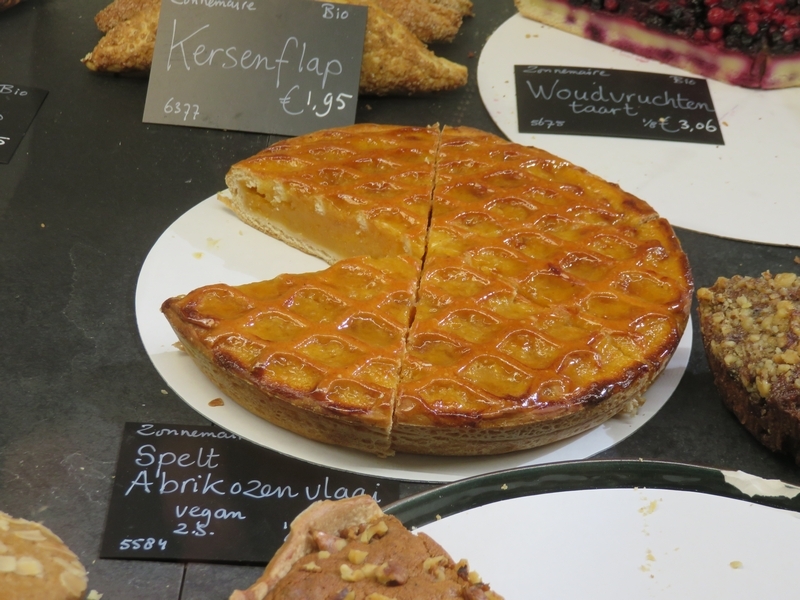 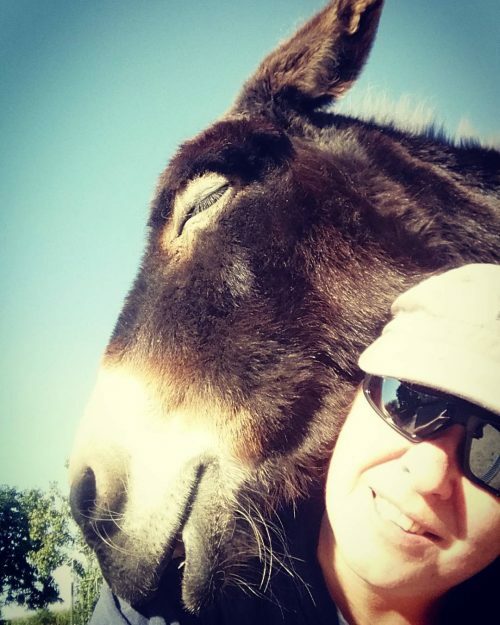 There is also an Origin’O is Bruges (see one of the earliest posts on The Bruges Vegan). 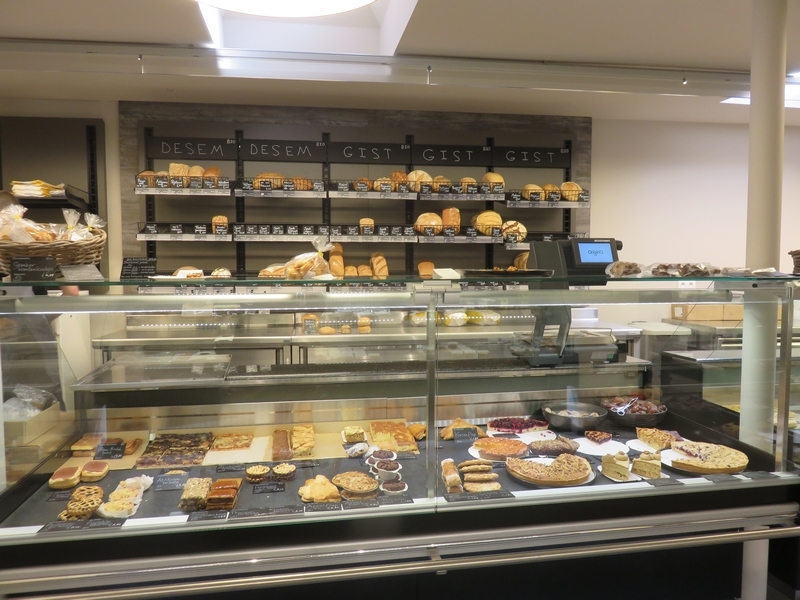 The one in Bruges will be moving to a bigger location soon, at the edge of the city (see pic below). 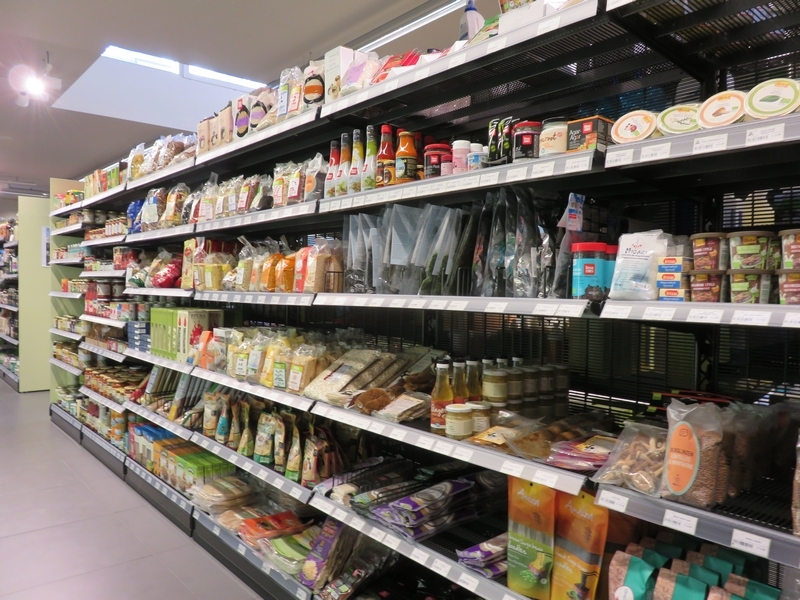 Whenever we are visiting another city, we like to check out the vegan and/or organic stores to see what they have on offer. 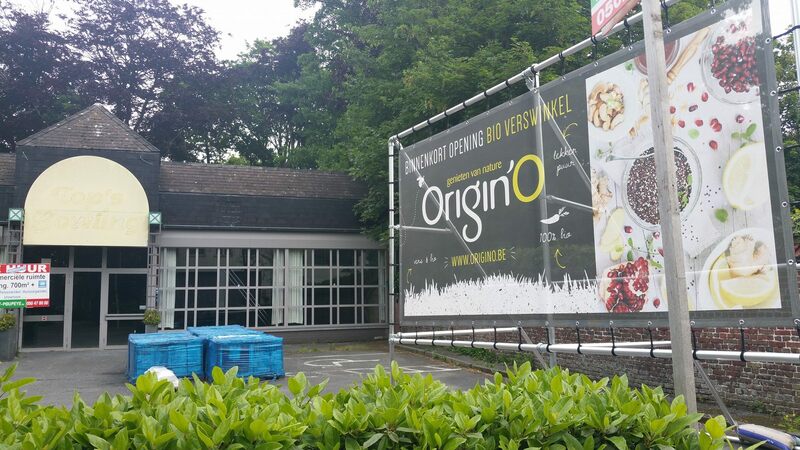 I’ve been to the Origin’O in Louvain (near Brussels) a couple of times before, and on our last visit, I took some pics. 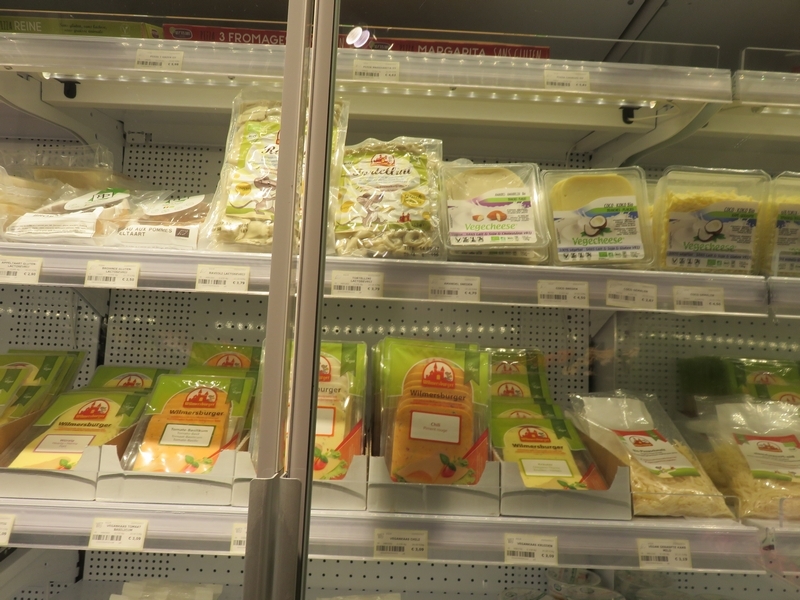 Please note that it is not a vegan shop, so not all the products on the photos are necessarily vegan. 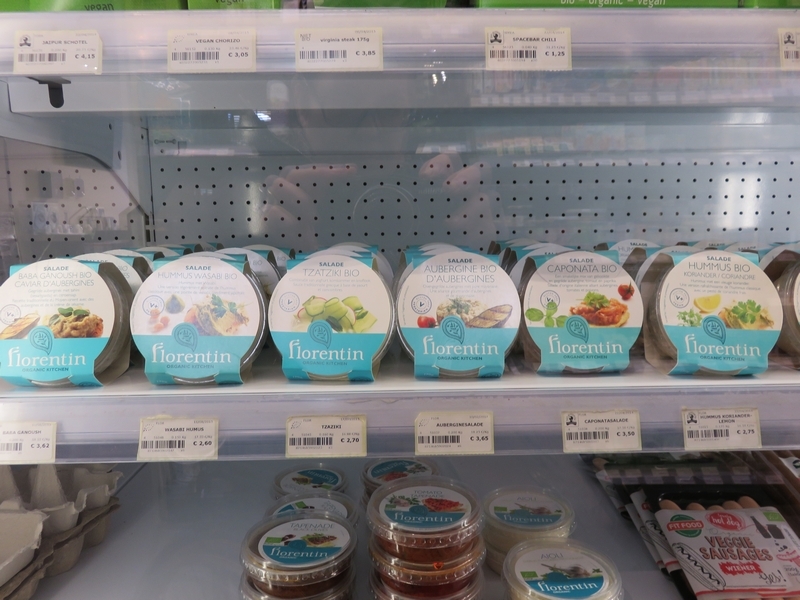 The shop does sell a lot of vegan items that are not so easily found in ‘regular’ shops (vegan yoghurt, tempeh, chocolates, cakes, toothpaste…). 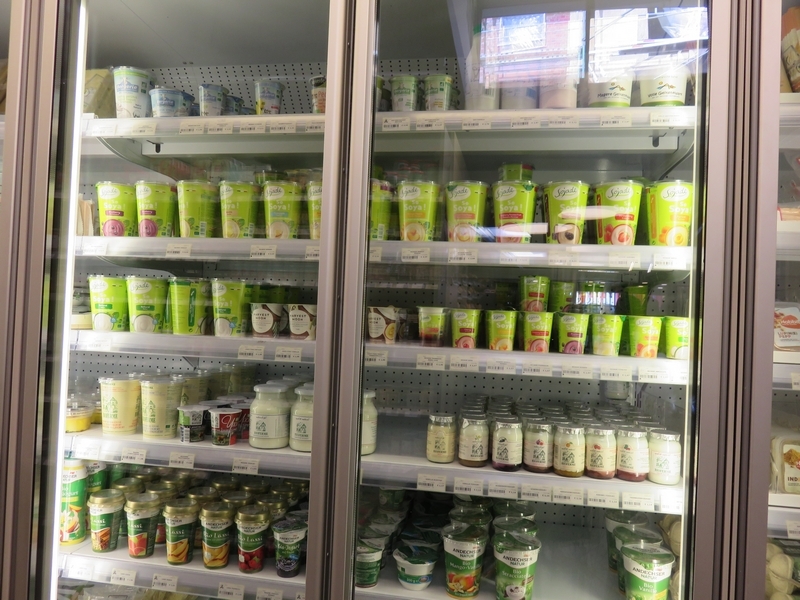 The vegetables and fruits section is in a seperate cooled room, which I think is a good arrangement and more energy efficient.